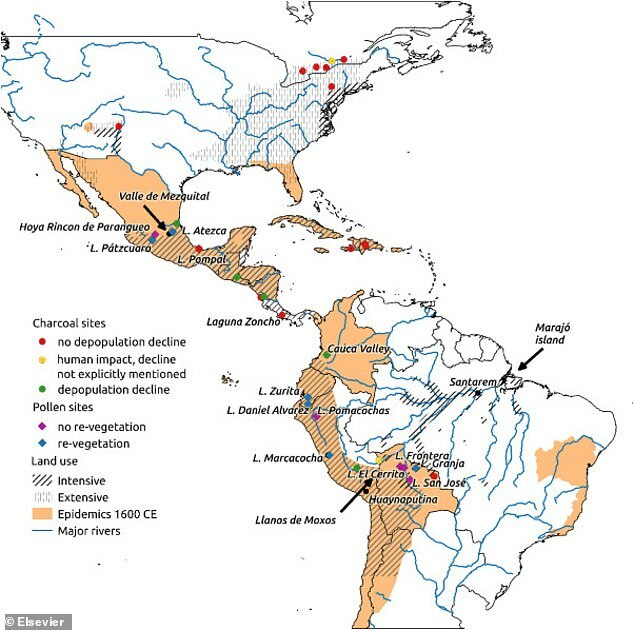 European colonization of the Americas led to so many deaths among indigenous populations that the global climate briefly cooled as a result, according to a shocking new study. Researchers estimate the arrival of Europeans in 1492 caused roughly 56 million deaths by the year 1600 due to disease, conflict, and slavery. Mass deaths, in turn, resulted in the reforestation of landscapes that were left abandoned. As swathes of agricultural land became overgrown, the new trees and foliage absorbed higher levels of carbon dioxide from the atmosphere, sparking what’s now casually referred to as a ‘little Ice Age’. Experts believe the influx of Europeans and the outbreak of war in the 15th Century sparked an environmental shift which literally lowered the local temperature. The devastating depopulation of indigenous peoples across North, Central, and South America during the 16th century has come to be known as the Great Dying. 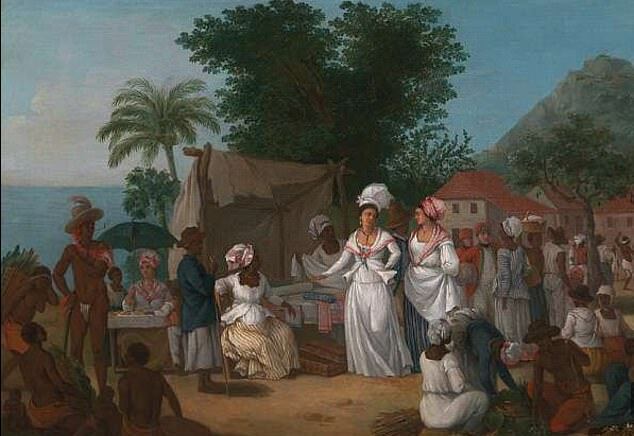 In total, it’s estimated that European colonization wiped out 90 percent of the indigenous population at the time – or, 10 percent of the world population. The resulting effects rippled out into the surrounding environment. ‘The Great Dying of the Indigenous Peoples of the Americas led to the abandonment of enough cleared land that the resulting terrestrial carbon uptake had a detectable impact on both atmospheric CO₂ and global surface air temperatures,’ says study author Alexander Koch, University College London. The team studied population data from 1492 onward to see the impact of conflict and disease. 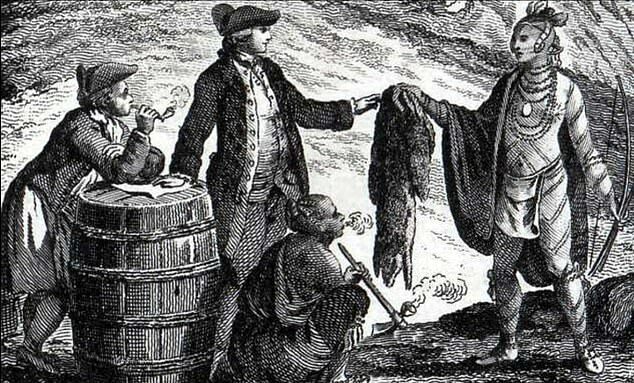 Settlers and soldiers carried European diseases like smallpox, measles, typhoid and the flu, which ravaged communities. And, it didn’t all happen at once. 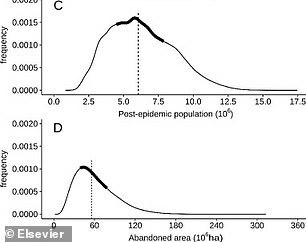 The researchers say the depopulation of the Americas is unique in that disease epidemics surged in multiple waves. ‘Those who survived influenza, may later have succumbed to smallpox, while those who survived both, may then have caught a later wave of measles,’ the researchers write in the new study published in the journal Quaternary Science Reviews. As a consequence of these fatalities, land the size of France was subsequently abandoned, lowering the concentration of CO₂ in the atmosphere by 7-10ppm (7-10 molecules of CO₂ in every one million molecules in the air). WHAT WAS ‘THE GREAT DYING’ OF AMERICA’S INDIGENOUS PEOPLE? Several studies in recent years have attempted to quantify just how many people died as a result of European colonization during the 15th and 16th centuries. The arrival of European settlers brought new diseases to indigenous populations which were responsible for the deaths of millions. In the 1500s, for example, epidemics of smallpox, measles, and cocolitzli wiped out huge numbers of people in Mexico. Figures cited in a recent study estimate 30-50% of the indigenous populations in Mexico were wiped out by smallpox in the year 1520, and 80% between 1545 and 1548 from cocolitzli. About 30 to 60% of the Inca empire is estimated to have been killed by a smallpox and measles epidemic from 1585 to 1591. On top of this, the indigenous people were also subjected to warfare, enslavement, and mass hunger. Researchers say as many as 56 million people died in total between the arrival of Europeans in 1492 and the early 1600s. This accounted for about 90 percent of the indigenous populations across North, Central, and South America – or, 10 percent of the global population. ‘To put that in the modern context – we basically burn (fossil fuels) and produce about 3ppm per year,’ said co-author Prof Mark Maslin. ‘There is a marked cooling around that time (1500s/1600s) which is called the Little Ice Age, and what’s interesting is that we can see natural processes giving a little bit of cooling, but actually to get the full cooling – double the natural processes – you have to have this genocide-generated drop in CO₂,’ the researcher said. Previous research has calculated that by 1610 forests had reclaimed much of the continent. Forests are more effective at absorbing carbon dioxide than crops and therefore the reforestation of farmland would have led to a drop in carbon dioxide.